Many houses are already decorated with Christmas trees, presents are being carefully prepared and hidden, feast menu is under discussion. From the open windows sounds of festive Christmas carols are pouring on the streets and even traffic jams and long lines in stores are not able to spoil the mood of anyone. 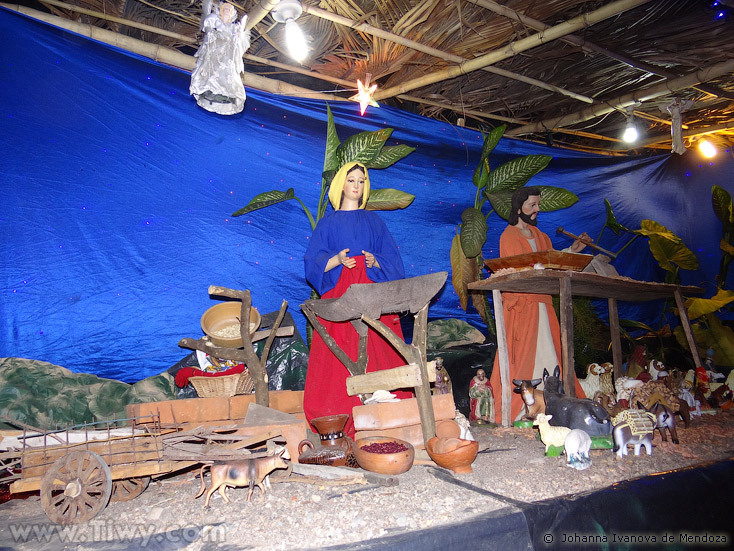 In El Salvador, as in many other Catholic countries, there is a tradition to put in homes Christmas compositions, reproducing events Nativity, Adoration of the Magi and the shepherds. 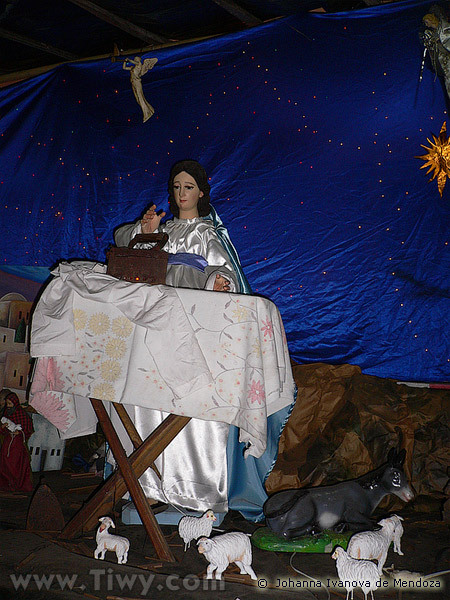 Permanent characters of the scene are the Virgin Mary, St. Joseph and the Christ Child, who is laid in a manger at 12 o’clock sharp. 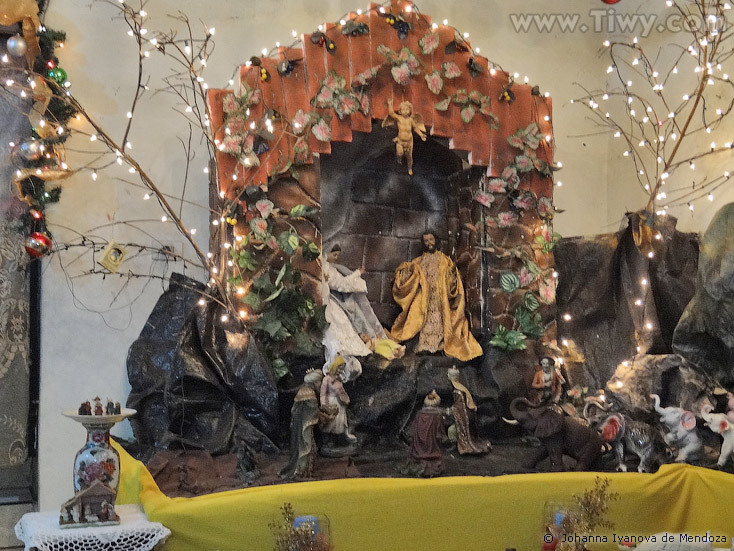 On December 31 there is a tradition to seat the Christ Child and dress Him in festive attire. 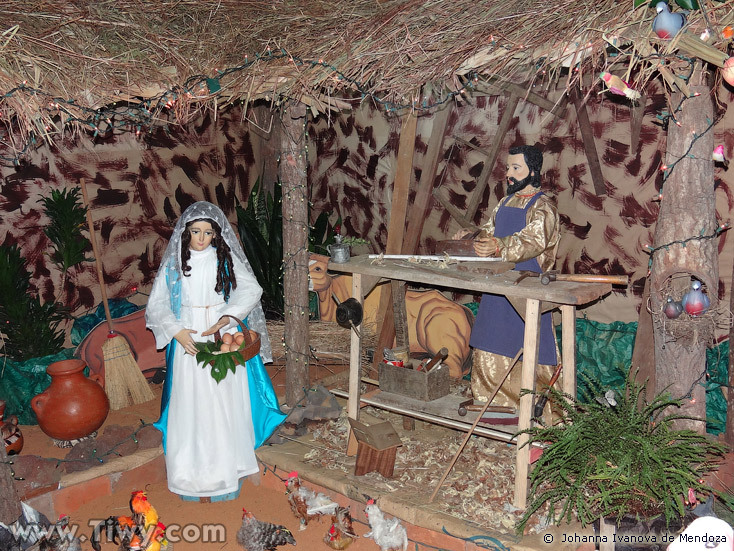 It is customary to put the Holy Family in the “cave” or build a modest “rancho” out of wood and cardboard. 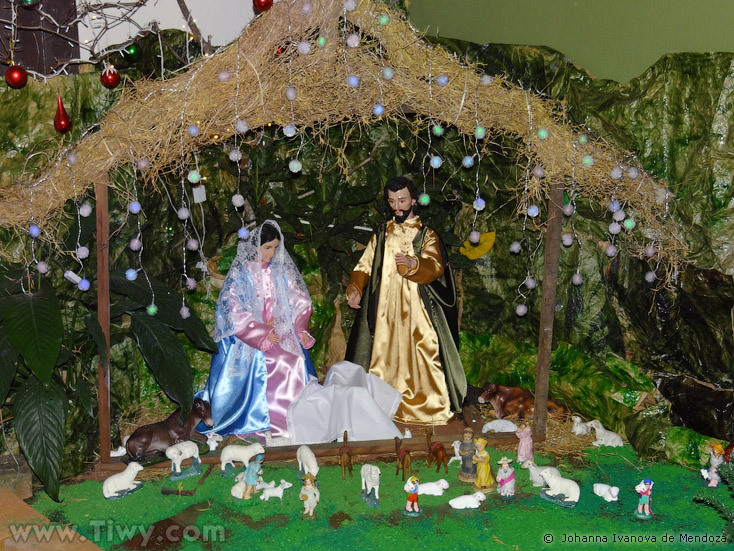 In addition, animals are generally present in the compositions – the ox and the donkey, which, according to legend, warmed the Child by their breath, the three wise men, shepherds with sheep. 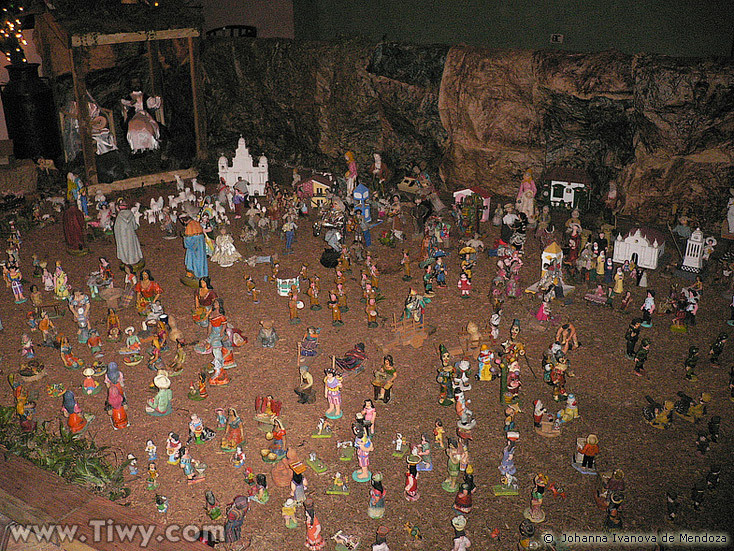 Christmas-cribs can be quite small, desktop, but most often these are huge structures, often occupying the entire room. They set them near the window or the door, so that everyone could enjoy and marvel the originality of the author. 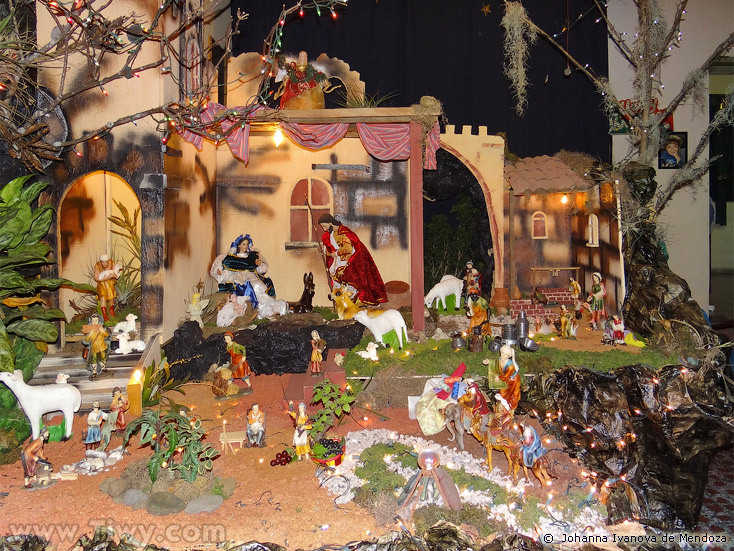 Indeed, the work of local craftsmen is staggering: plans and projects of each Christmas composition are prepared much in advance, and the materials and details of it are selected throughout the year. 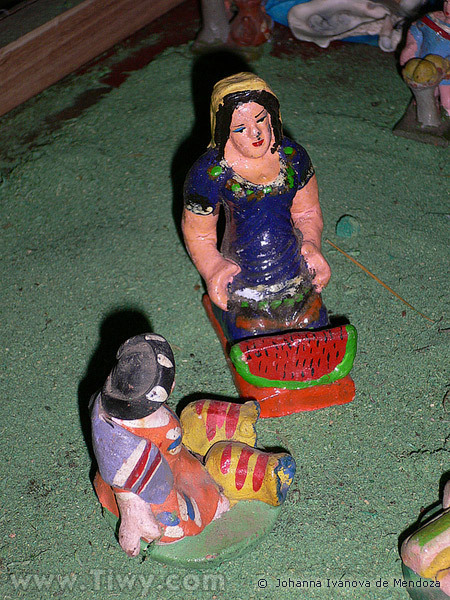 Although the tradition dictates to depict the Virgin Mary and St. Joseph seated sedately next to the creche, people’s fantasy always interprets this point in its own way: we see Mary, who bakes tortillas, feeds chickens or irons, Saint Joseph carpenters, or just hangs out the laundry washed by his wife. As a result, the solemn scene appears quite different – more intimate, domestic, and this, of course, makes it more alive and real. 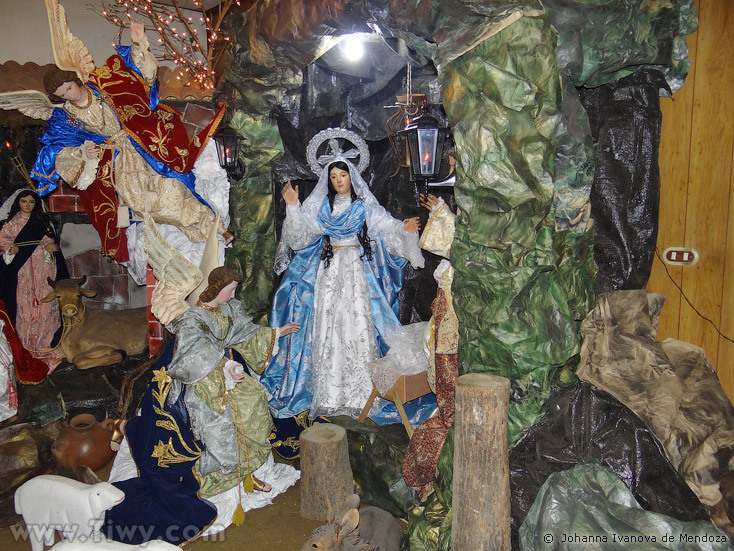 Christmas-cribs of Latin America and, in particular of El Salvador, are full of life: street vendors distribute goods, driver takes a herd to watering place, women cook food and chat with the gossiping neighbors, music plays and children frolic. 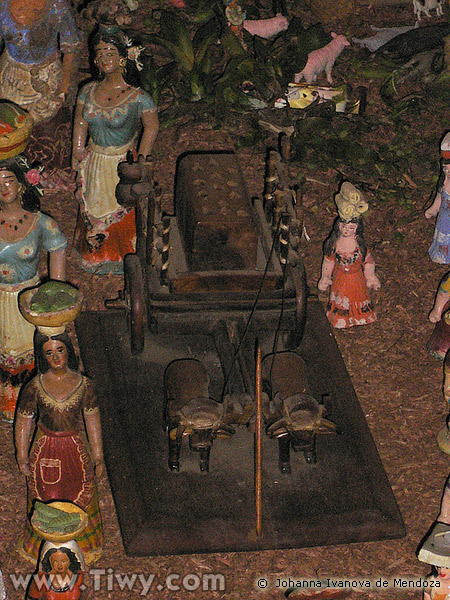 The desire to experience something of the holiday is proved by the fact that figurines and photos of family members and neighbors, celebrities are often placed in the crib, or home town in miniature is reconstructed. 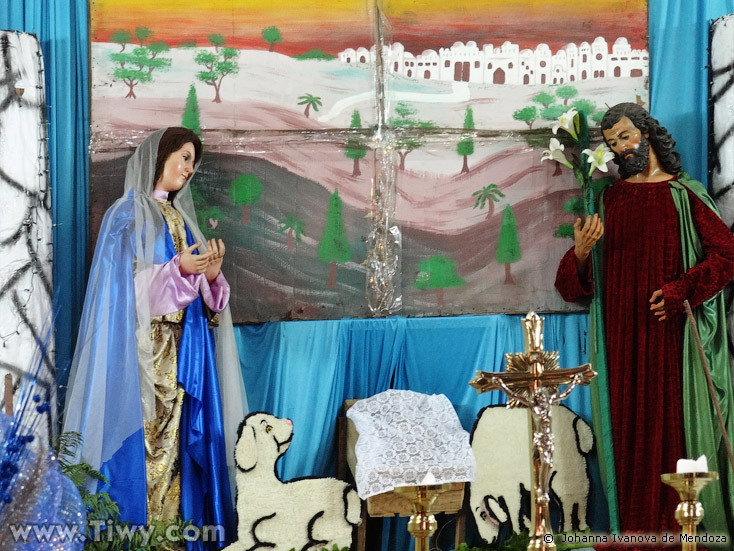 This brings to mind the famous precepio of Reis sisters, brilliantly painted in Jorge Amado’s novel “Gabriela, Clove and Cinnamon”: “Precepio portrayed, as expected, the Christmas in the poor stable in distant Palestine. But the barren eastern land was only a part in the center of variegated world, where a variety of scenes and people from various periods of history democratically mixed together, and their number grew from year to year. Celebrities, politicians, scientists, military men, writers and artists, domestic and wild animals and severe faces of the saints in the neighborhood of dazzling flesh of half-naked movie stars”. That’s right: after all the birth of the Child is a truly folk festival, the event that is necessary to expect and to celebrate all together.